The large contingent of concerned residents who attended the meeting urged the ANC to protest Babin’s application for a liquor license without an odor mitigation agreement for the new venture, but Babin’s announcement made the protest unnecessary. Resident Katherine Szafran spoke for the group and presented the ANC with a petition with 190 signatures of residents and non-food business owners, including civil rights and congressional​legend​ ​Representative John Lewis. The petition urged Babin and StreetSense to adopt “Best Practices” including installing a pollution control unit, indoor trash storage, and sound mitigation. Szafran told the ANC that the lax standards for restaurant operating procedures “are a major health issue. Rats are overrunning the neighborhood.” She cited the long efforts of residents to address the problems and pointed to recent closures of two restaurants neighboring Babin’s new location which the city had shut down because of vermin. “Rats smell food and they travel – part of the solution is to cut down on the smell of fried food and grease,” she said. 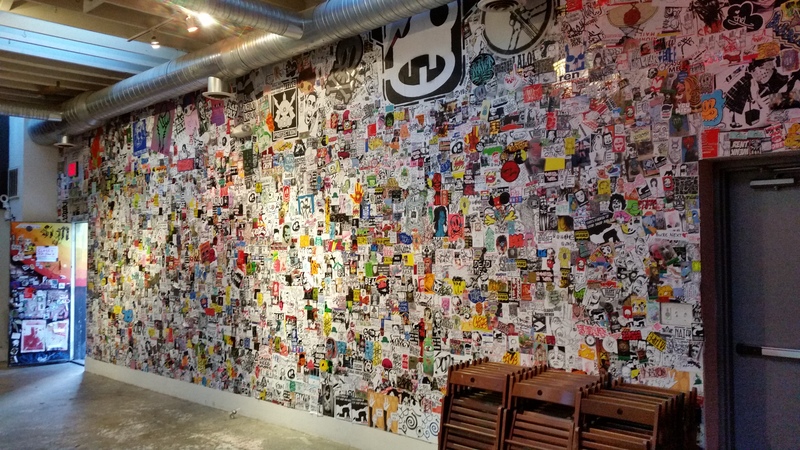 Although neighbors concerned about the impact of restaurants on Barracks Row have presented petitions before, none has had as many signatures nor reflected such a broad community involvement. Those signing included residents on the streets around Barracks Row and Eastern Market,​ those near the restaurants between 2nd and 3rd Streets on Pennsylvania Avenue, SE, as well as residents from disparate locations across Capitol Hill. 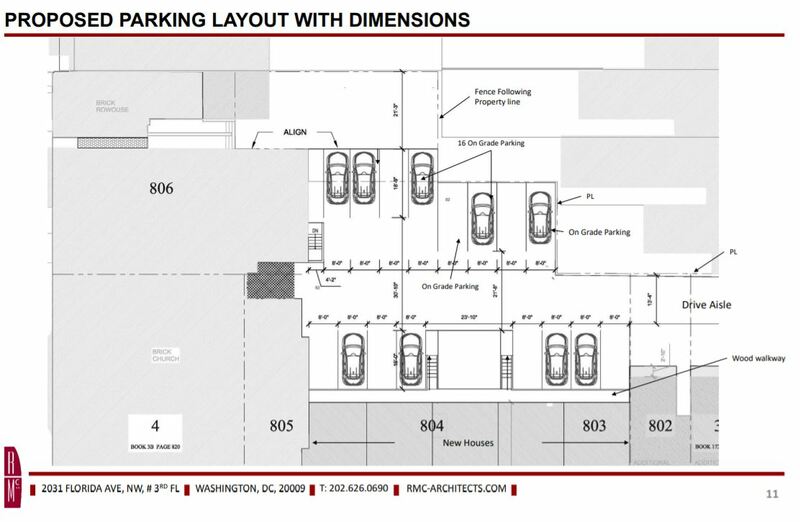 The previous ANC6B – some members of which did not seek re-election – clearly felt that the “Best Practices” agreement reached with & Pizza (including all three concerns regarding Babin’s new place) would become the new standard for Barracks Row. 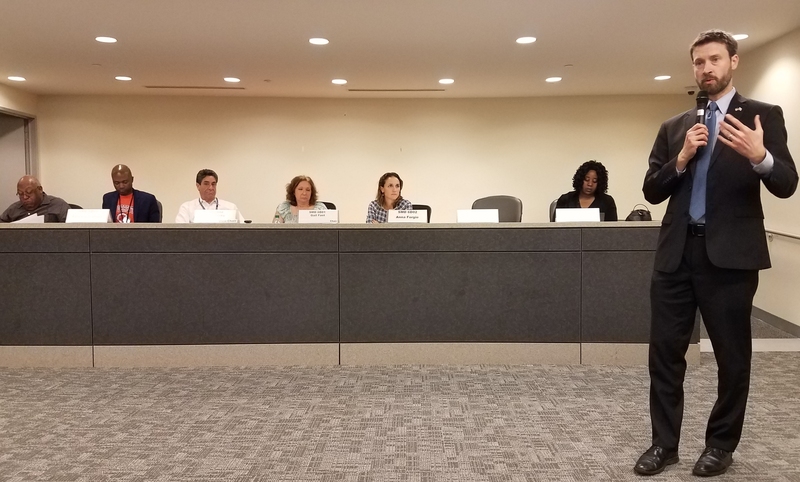 It is unclear if a majority of the current ANC6B feels the same degree of commitment, but it is clear that they are being held to a new standard themselves regarding Barracks Row issues. To his credit, Babin is undertaking the expensive mitigations even though, as he told the attendees, he is “pretty sure” he could get a liquor license without agreeing to the requests. Bravo to the volunteer time and efforts in garnering all those signatures!!! One does wonder how is it that the ANC6B members can be so unaware of the health and safety problems businesses can produce in the neighborhood, if left unchecked. As the article pointed out, possibly the success of getting such a broad support might have been the ANC6B action (or non-action) with Silverman on “Elaine’s”, where ANC6B “… seemed to give the restaurant the benefit of the doubt on the issues of trash, noise, and odors – none of which were required to meet the “Best Practices” standard. 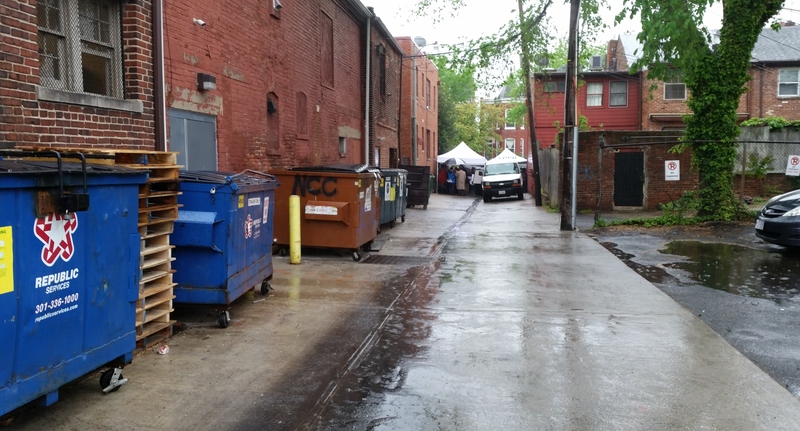 ” Many residents were NOT happy or pleased with this kind of behavior of the ANC6B. Nothing is enforceable unless it is written in black and white and signed. Thank you Capitol Hill Corner on your reporting. 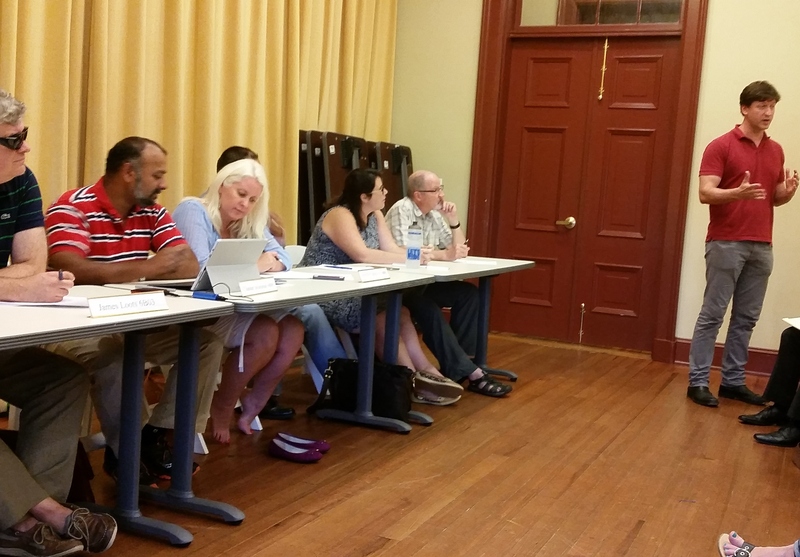 The outcome of Thursday’s ABC Committee meeting was, in every way, a real success for the neighborhood – residents, non food businesses, and restaurants alike. We are especially appreciative of the decision by Michael Babin, of the Neighborhood Restaurant Group, and Guy Silverman and Marc Ratner, of Streetsense, to store garbage, grease and recycling indoors and install mechanical noise abatement and a quality pollution control unit at 415 8th St. Like Michael Lastoria, of & Pizza, and Capitol Hill Investors (the landlord of & Pizza), NRG and Streetsense have taken a leadership role in the growing movement for clean restaurant development. We are also incredibly appreciative to the Commissioners of ANC 6B for their unanimous decision to make their support of NRG’s liquor license contingent on a signed settlement agreement incorporating these mitigating practices. The full airing of the issues relevant to these practices that has been afforded at the May, June and July ANC ABC Committee meetings chaired by Commissioner Chander Jayaraman has critically contributed to a broader understanding of the negative health, environmental, and quality of life effects that a heavy concentration of restaurants can have on mixed use neighborhoods if mitigating practices are not incorporated. In addition, the neighbors owe special thanks to Commissioner James Loots for his advocacy on their behalf. With respect to Elaine’s, he crafted SA language that both reflected what the neighbors had negotiated during meetings with Aaron Silverman and resolved lingering concerns regarding how the negotiated agreement would be executed. 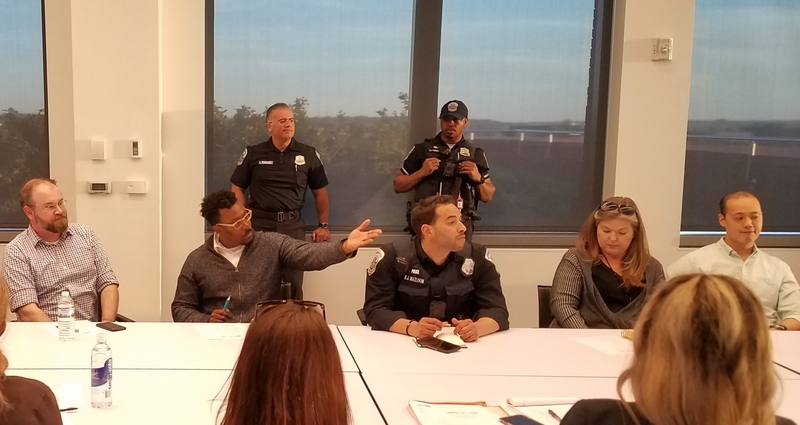 Last month, Commissioner Loots ( together with other ANC commissioners) joined the on-going dialogue between the neighbors and NRG and Streetsense and was critically important in helping the applicant recognize the benefits of meeting the three-pronged mitigation approach established last year by ANC 6B, the neighbors, and & Pizza. We also owe thanks to the Commissioners (past and present) who, since 2010, have invested a great deal of time in understanding what the neighbors have learned as a result of working with restaurant owners, landlords, city officials, and various experts to determine how to best mitigate the negative effects that a heavy concentration of restaurants can have on mixed-use neighborhoods. 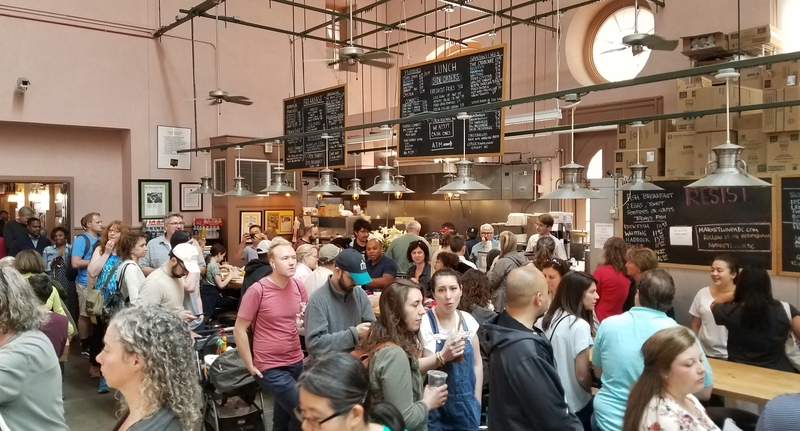 Mitigating the negative effect of concentrated restaurant development is not difficult, but it does require a sustained commitment by restaurant owners, landlords, government officials, and residents. That is why this most recent effort is so heartening.